In which G.M. 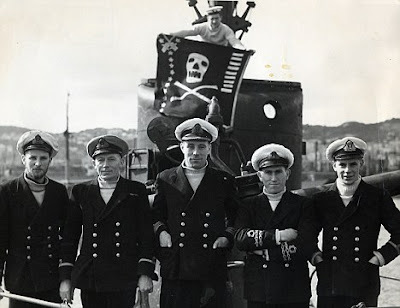 Norton follows in the footsteps of Royal Navy servicemen. I've been coveting a cream turtleneck submariner jumper for a good six years. 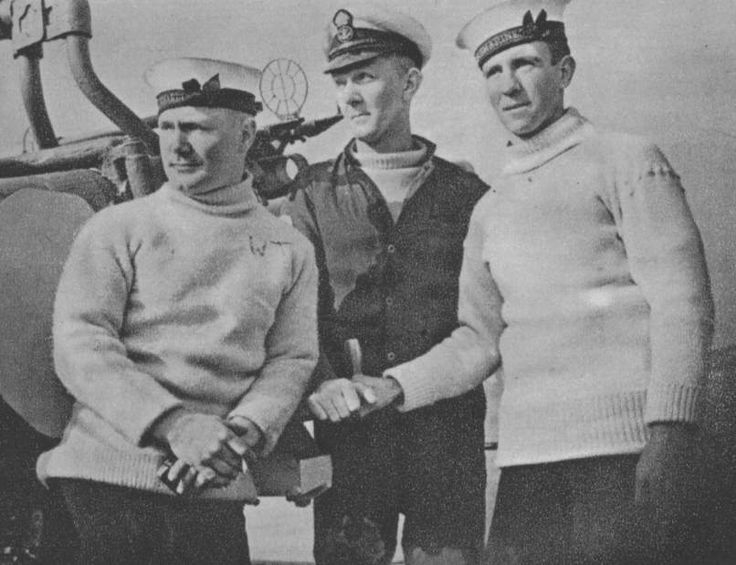 It’s a truly iconic item of clothing, supplied as standard issue to Royal Navy servicemen during the Second World War. Worn under duffle coats and serge wool, it became a vital part of the naval uniform with the roll neck providing all important protection on perishing night watches. Warm and tough, it was soon adopted by RAF pilots and after the war had been won, by rockers and bikers who eagerly snapped them up in army and navy stores. Now I finally have one of my own, thanks to Outdoor Knitwear. 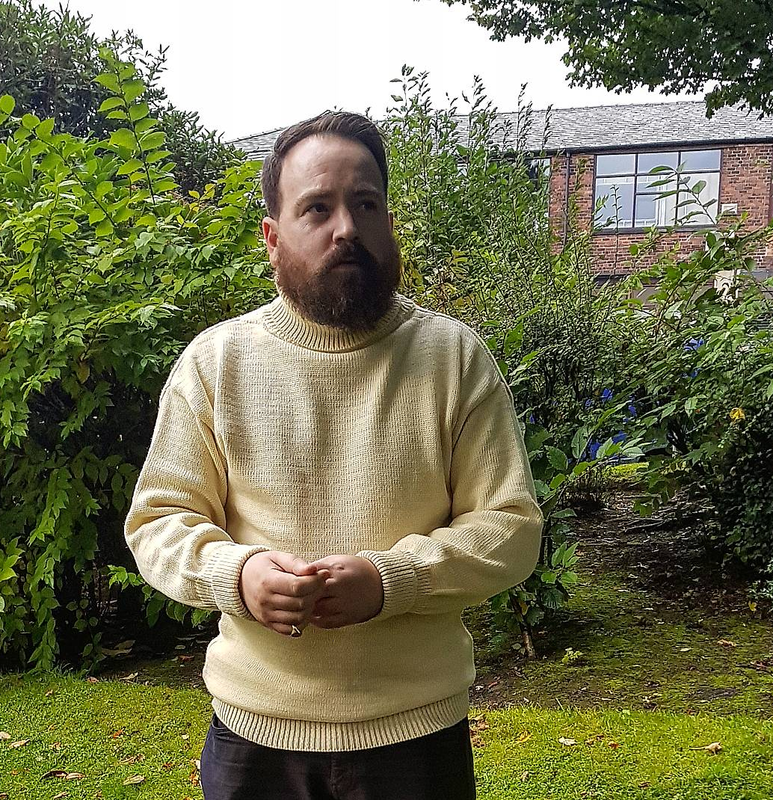 I previously mentioned Outdoor Knitwear at the beginning of this year when I bought their woolly pully commando jumper so was delighted when they offered me the chance to review their cream submariner. Made in their Leicester factory from British wool, this is the same company that produces them for the Royal Navy, following an unchanged 70 year military specification. Made from a hefty 3-fold wool, it is reassuringly heavy. 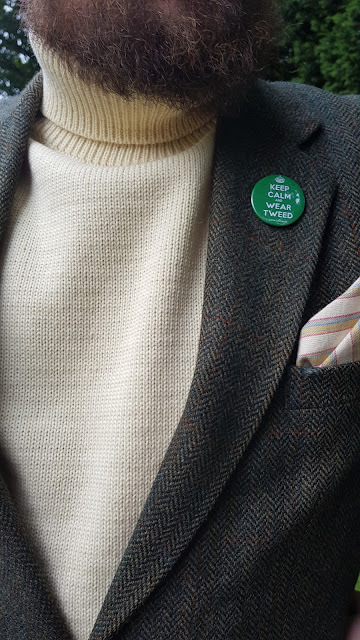 This jumper takes it's job of keeping you warm very seriously indeed. 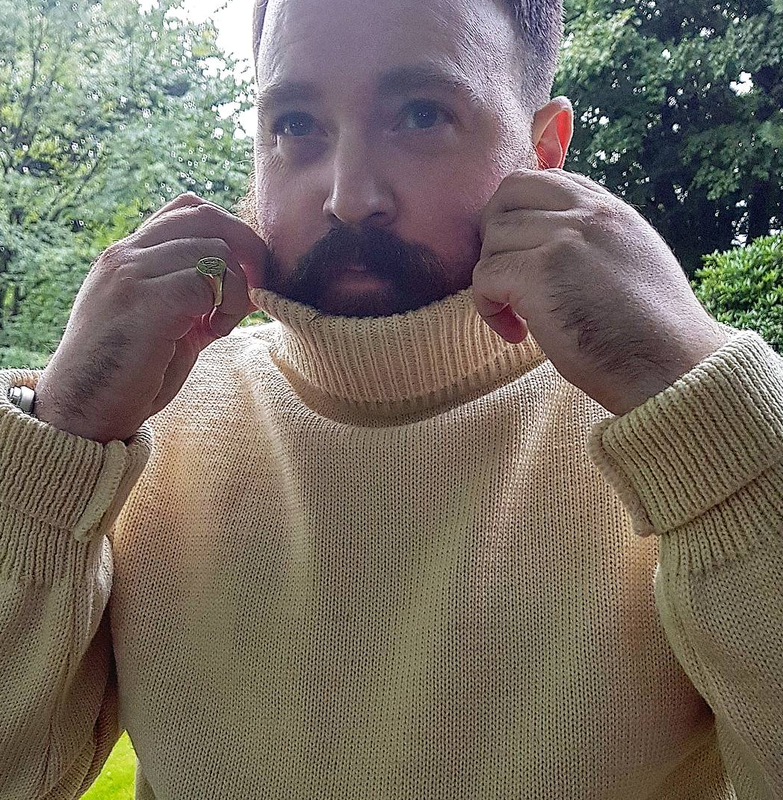 As well as the pleasingly fat ribbed neck, the sweater also has lovely long cuffs, allowing me to roll mine up. Now the submariner is long, very long in fact! So I lifted mine up a little, which for me only adds to the look. There's nothing worse than constantly pulling down a jumper that is too short. 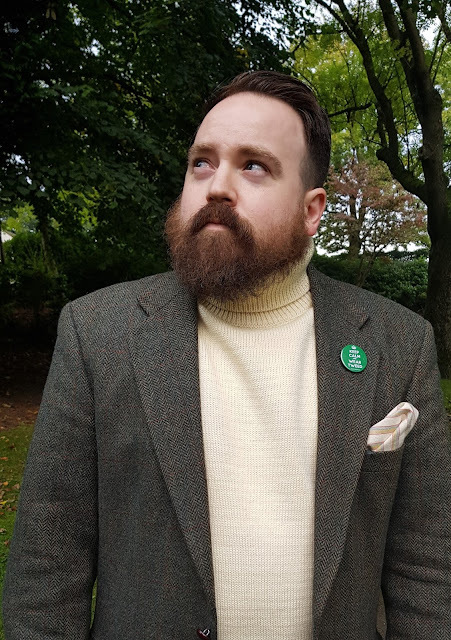 Combining my beard with a jumper dripping with salt water chic may well lead to me being called a sea captain. Which I am only too happy to encourage. 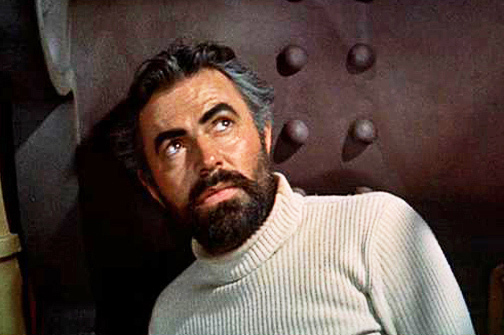 After all, who doesn't want to be a sea captain, a la James Mason? I love the smell of a woolly jumper. Put it to your nose and you get a whiff of lanolin. You just don’t get that with inferior polyester pretenders. 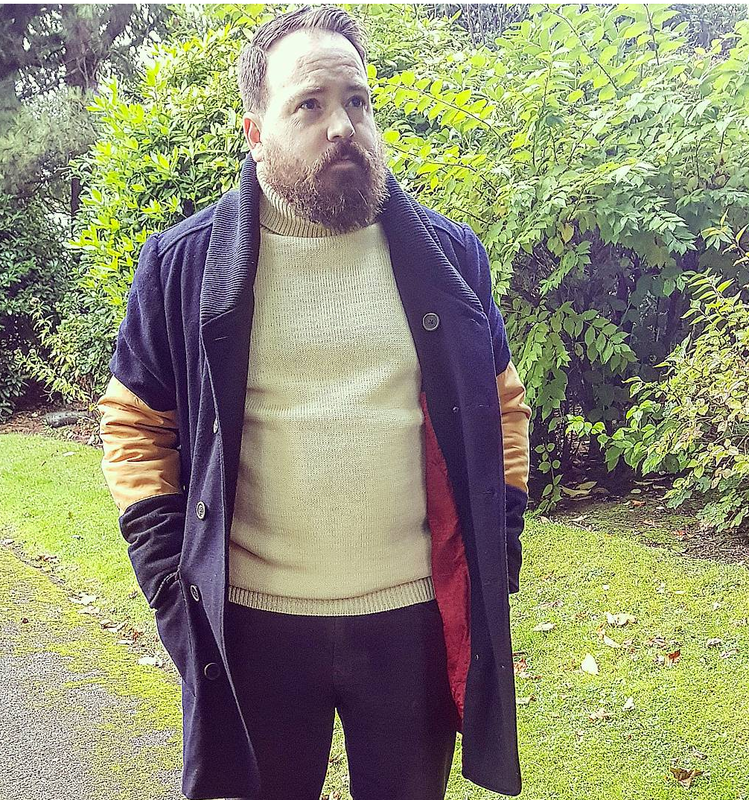 These jumpers are perfect worn with a duffle coat or overcoat of some sort. 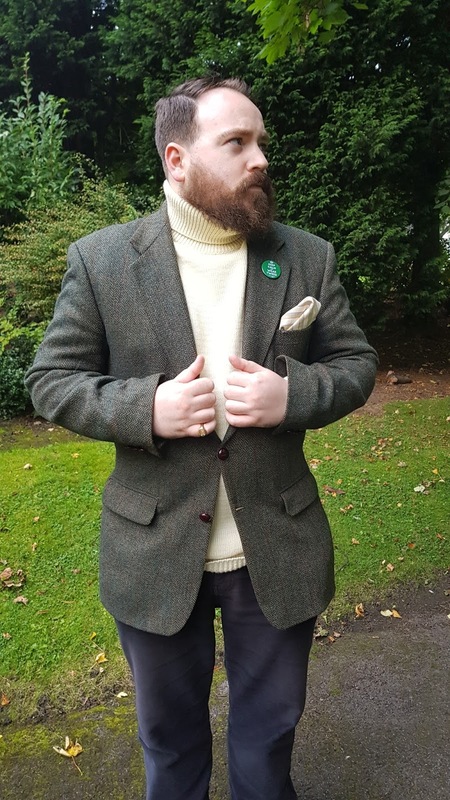 But I also think it looks rather spectacular with a tweed jacket. 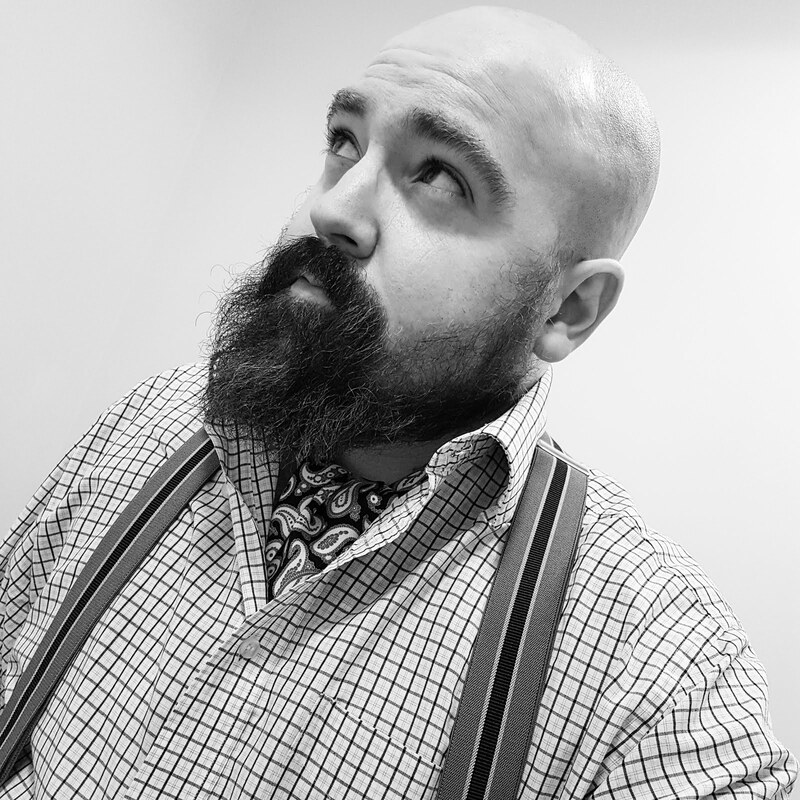 Yes, it's slightly Georgraphy teacher or 1970s television news anchor, but I like it. This jumper is going to get a lot of wear over the coming years. It's incredibly comforting to throw on a warm knit made from 100% British wool. Now autumn is here, if you're on the lookout for something to be your saviour during the cold winter months, try Outdoor Knitwear. Made in Britain using traditional methods by a company that the military rely on to keep our armed forces warm. There’s no bigger endorsement, surely. They look awesome. I want one. Are they rain proof.